Steve Parry is one of my oldest and dearest friends. He’s a great trumpet player and also irritatingly good on most other instruments too! 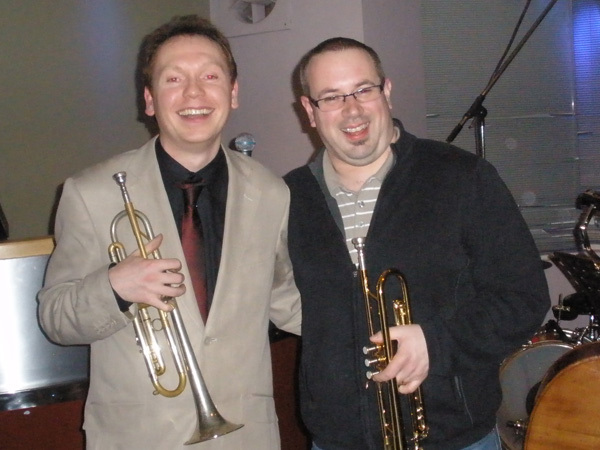 We met at Leeds College in 1993 and had as much of a laugh playing then as we did in May 2009, when this photo was taken at Scarborough Jazz Club.